Curriculum and IT leaders need to work together toward a common goal. A lot has been made lately of bridging the gap between curriculum and IT. It’s an increasingly regular topic of conversation in my role as a K–12 education strategist, to the point where the words are almost scripted. Why is the IT department treated as a separate entity in our schools? How often is something positioned as either a tech initiative or a curriculum initiative in your school or district? Why can’t it just be a school or learning initiative? 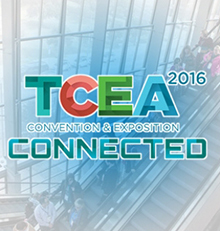 The author will lead a session, “It’s a Collaboration Nation,” on Thursday, Feb. 4, from 1:15 to 2:15 p.m. in room M1, at the TCEA 2016 Convention & Exposition in Austin, Texas. In 1923, the National Education Association established the Division of Visual Instruction (later it added Audio and became DAVI) as school administrators became interested in the use of new media, such as slides and motion pictures, to improve instruction. World War II and the Space Race helped spawn the Elementary and Secondary Education Act of 1965, which called for money to be invested in schools for technology, mainframes and microcomputers. The 1970s and 1980s saw the emergence of the personal computer and also the need to redefine educational technology. The Association for Educational Communications and Technology’s 1977 definitional statement now characterized educational technology as a “systematic problem-solving process.” The early 80s saw the widespread acceptance of computers in education. The need for technology in education was addressed almost 100 years ago and throughout the decades to follow. In the journey to the present, where did we lose sight of the ultimate goal in K–12? Let’s not forget that most IT departments grew from audio-visual departments — technical experts who were charged with making sure that overhead projectors, film strips or slide projectors, TVs and their LaserDiscs or VHS tapes were cataloged and ready to roll when a teacher checked them out. Even then, every act of an A/V or IT department was in direct support of a school’s mission and vision: to prepare students for utilizing technology as a tool in the classroom. Now these experts have evolved, as the technology has evolved, to handle almost every aspect of technology in our schools. The work involves so much more than devices. A technology director’s role is to strategically plan, implement, maintain and look for areas of improvement and growth, making sure everything works in the district or school. Regardless of which of the two sides he or she plugs in — IT or curriculum — it’s an incredibly important and strikingly similar position. If the technology and the infrastructure supporting it doesn’t work, then why have the technology at all? Likewise, if professional development and training are not a priority, then the technology will become nothing more than a glorified paperweight. Understanding the ins and outs of technology in our schools has always, by default, been left up to IT. So maybe that’s the basis of this internal conflict — a lack of understanding of how the other side works, not out of ignorance, but out of stubbornness and a respect for tradition and past practice. People now want to talk about the recent power shift from IT to the curriculum side. Why is there a power shift? School leaders, school board members, administrators, the community and stakeholders, all are a part of the decision-making power in schools. Many schools have created tech committees, pooling representatives from departments or grade levels and members of the IT department into a group that makes pedagogical and technical evaluations of hardware and software that teachers desire for digital learning environments. Digital coaches or instructional technologists also coach teachers on effectively utilizing technology in the classroom. These are great first steps, but both curriculum and IT leaders need to come together to discuss the decisions that can make or break a learning environment. Let’s start working together to develop school or learning initiatives instead of perpetuating the conflict by identifying or agreeing with one side or the other. There has to be a discussion, an involvement of both curriculum and IT teams, utilizing their collective expertise. Even if a director of technology and a director of curriculum and instruction still exist as separate positions in your district, the two people still have a shared responsibility of understanding and respecting each other’s roles, contributions and value to bridge this gap in our schools. So what is your first learning initiative going to be? What are you going to do to prepare your staff and students for what’s next by providing the structure and support for the tools that complement the strategic mission and vision for your institution?